Friday sure has come around very quickly this week. We hope you all have a wonderful weekend and manage to get some crafting done. 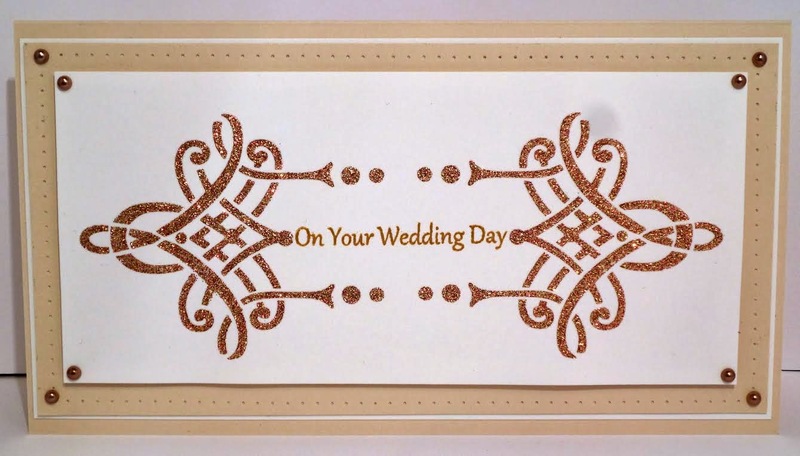 Today we are sharing with you Cheremane's beautiful Wedding Card which we think is so elegant! She has used the MacIntosh Panel Stencil with Sparkle Medium. What do you think? Why not visit Cheremane's blog to see how she created this beautiful card. A new challenge started yesterday on our Imagination Crafts Challenge blog! The theme for this month is an easy one which is "Anything Goes". One lucky winner will win £40 if they have used Imagination Crafts products. The design team and I look forward to seeing your creations. Today we are sharing Jan's beautiful card using one of the new Panel Stencils Toledo which you can purchase here. 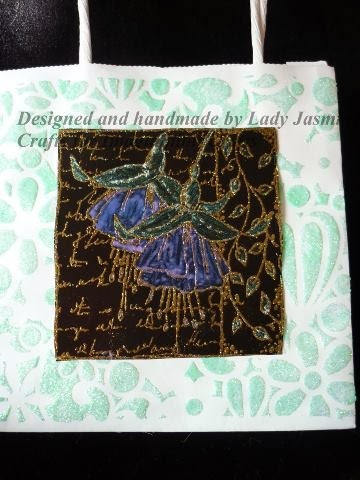 Why not visit Jan's blog to see how she has created this beautiful Thank You card. Monday already and the last day of March. This month has sure gone by very quickly. We hope you all have a wonderful week and manage to get some crafting done. Don't forget to share your creations with us on our Facebook page. Today we have Nicky's beautiful gift bag. Nicky has used the beautiful Fuschia stamp set from our website. Please hop on over to Nicky's blog and leave some love!